2014-15 has been a busy year — lots of listening, learning and action. Here are a few of the highlights. We have a knowledgeable and dedicated 21-member board of directors, an outstanding 7-member executive committee, eighteen remarkable committees with over 100 volunteers, and an extraordinary 10-member Professional Advisory Board. That does not take into account the work of the 41 state and local affiliates who engage countless volunteers. I know the phrase “boots on the ground” is used a lot these days. Borrowing from that theme, I would like to change the phrase to “Volunteers on the Ground” — loads of them! Thank You!! Our vibrant volunteer team strategies and strong commitment are framed by 8 highly intelligent national office staff (2 full time; 2 part time; 4 contracted who work anywhere from 3 – 20 hours per week). This part of the team is nimble, resourceful, supportive, and all around amazing. They exhibit an extraordinary passion and allegiance to the organization’s vision, mission, and goals. They are always available and their follow-through is exemplary. Please accept my heartfelt thanks. Organizationally, the board will complete a goal-oriented planning process that has been ongoing since the last conference. With an outcome of organizational growth and long-term sustainability for LDA of America, the question to be answered is “What does LDA to look like at the end of the 2020 fiscal year?” In response, the three major components of fiduciary, strategic, and generative have been addressed. LDA requires and operates with a balanced budget (fiduciary); LDA functions using a plan with reasonable goals and related action steps that provides a continuity of focus across the organization – the how, who, and when (strategic); and LDA constructs a long-range picture or vision that gives substance to the strategic plan allowing continued growth and development – the what and why (generative). The focus of the Board’s work has been forward thinking and is critical for LDA’s organizational sustainment, succession and success. During the February 2015 board meetings, the Board will validate what LDA looks like in 2020 with a clear future statement that builds a long-term plan. This process will lead to the updating and changing of our strategic plan with goals, objectives/tactics to begin to get us to the outcomes set for 2020. At the beginning of the year I challenged all committee chairs and co-chairs to add at least one new member to their committee. I defined “new member” as a person who was a member or would become a member of LDA, was interested in LDA’s mission, vision, goals and the committee work, but had not engaged in any specific activities or interests. The challenge was accepted and many new people were involved in committee work this year. Great job Committees! Please extend huge kudos to Beth McGaw and her team for completing the website and for putting together a spectacular calendar of activities for each day during October – Learning Disabilities Awareness Month. Way to go Team! More applause goes to the Adult Topics Committee who developed a flyer that was sent to all affiliates regarding National Disability Employment Awareness Month (October 2014). Outstanding! Katie Cyphers led the Nominating Committee this year with multiple highly qualified nominations for board positions. Thank you Katie for your strong leadership. Great Job Team!! The annual audit was presented September 27, 2014. This is an independent audit of the LDA financials done by Stelmack, Dobransky & Eannace, LLC. There were no findings. LD Foundation awarded the Public Policy committee $5,116.00 to hold a Legislative Boot Camp Training Symposium held Monday and Tuesday at the Chicago Conference. 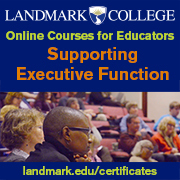 The training is for state presidents or their designees to gain an understanding of the legislative process, key elements needed to impact law and policy, and subject matter briefings regarding those issues critical to individuals with SLD. The LD Foundation awarded the Marketing Committee with a $2,500 grant to create LDA business cards for affiliates. Way to go Beth McGaw and her committee. The Development Committee continues to look for funds; letters of appeal were sent to membership and friends of LDA. Thank you to Sylvia Youngblood for her work on this fundraising item. LDA was awarded $75,000 from the John Merck Fund to hold a two-part workshop with MIND Institute at UC, Davis. The goal is to bring together 40 scientists, physicians and children’s health advocates to develop recommendations for reducing exposures to certain toxic chemicals found to increase risks for learning and developmental disabilities. Superb work done by Maureen Swanson and her team. The partnership with Understood, funded by the Poses Family Foundation continues to grow. LDA is one of the 15 founding partners. LDA entered into a memorandum of understanding with NCLD under Pat Latham’s presidency in 2013. As a result, PFF arranged funding for a part-time LDA communications coordinator position. 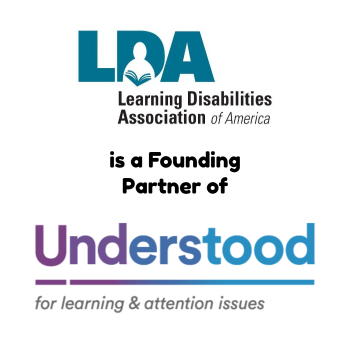 Understood launched its new website on September 24, 2014 — a single resource to support parents of children with learning and attention conditions so all parents can find clear answers to complex issues and personalized support they can trust. The first joint papers done through a partnership with NCLD and LDA were released February 2015. They cover Third Grade Reading Laws Infographics and Best Practices for Third Grade Reading Policies. This collaborative effort has been ongoing since last March 2014 and will be of great benefit to parents. In December 2014, LDA supported the nomination of Steve Noble for a position on the Federal Communications Commission Disability Advisory Committee. We continue to participate in the NJCLD meetings with board member JoAnna Barnes representing LDA in January at the 2015 meeting. Suzanne Fornaro represented LDA at the IDEA Partnership in early February 2015. Thank you Suzanne. LDA was named as a community outreach partner on the MIND Institute grant proposal to NIEHS. The intent of the proposal is to have rapid translation and broad dissemination of scientific findings relevant to reducing environmental risks to neurodevelopment and improving outcomes for all children. 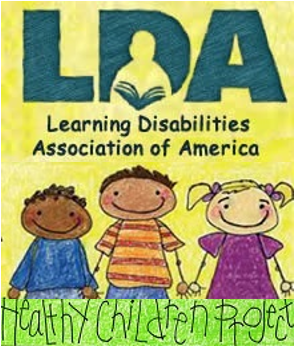 LDA agreed to be a co-sponsor to the National Education Advocacy Training sponsored and hosted by Learning Ally, Princeton, NJ. In October 2014, LDA supported the nomination of Nancie Payne for a position on the US Department of Labor, Office of Disability Employment Policy, Advisory Committee on Increasing Competitive Integrated Employment for Individuals with Disabilities. Affiliates continue to struggle with declining membership and resources. There was a significant effort to utilize Facebook as a social networking and information tool for affiliates. Business cards were disseminated to those affiliates requesting them. The Affiliate Support/Membership Committee has worked diligently throughout the year to assist affiliates were needed or requested. To each of you who takes time from your family, your work, other hobbies and interests to give so freely to LDA – Thank you. No organization can operate in isolation, without partners and countless volunteer hours. For each of you I am grateful for all you do for LDA.